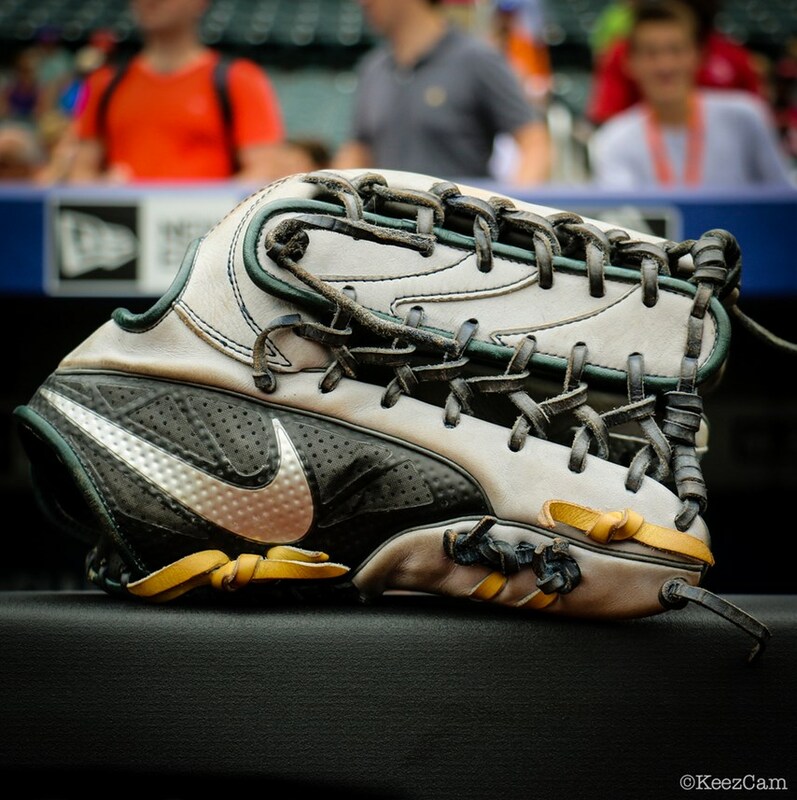 Last December, University of Texas and UNC showed off some brand new Nike gloves that we hadn’t seen. 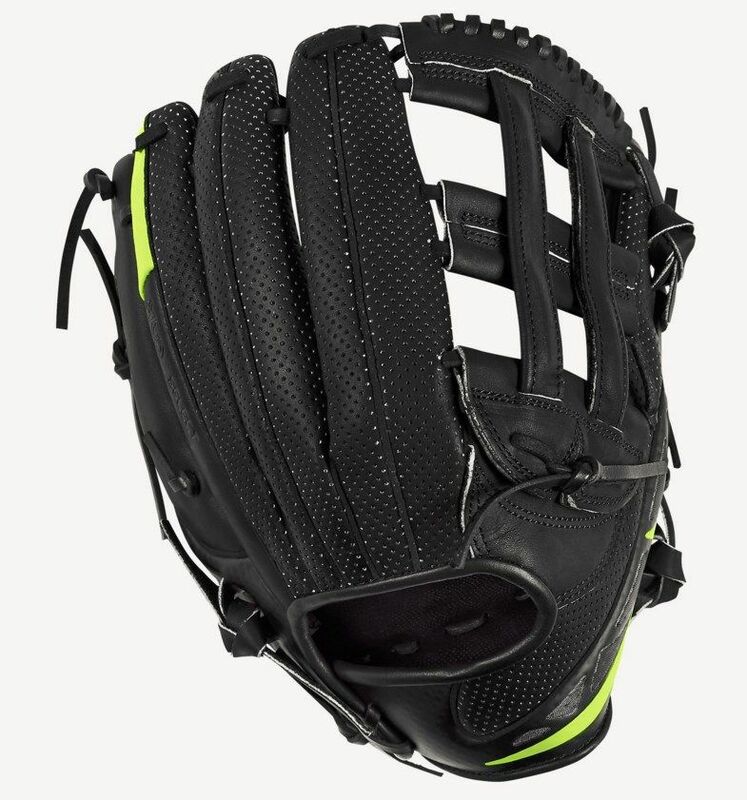 They were called the MVP Select and we described them as a “hybrid,” meaning part leather and part synthetic materials. 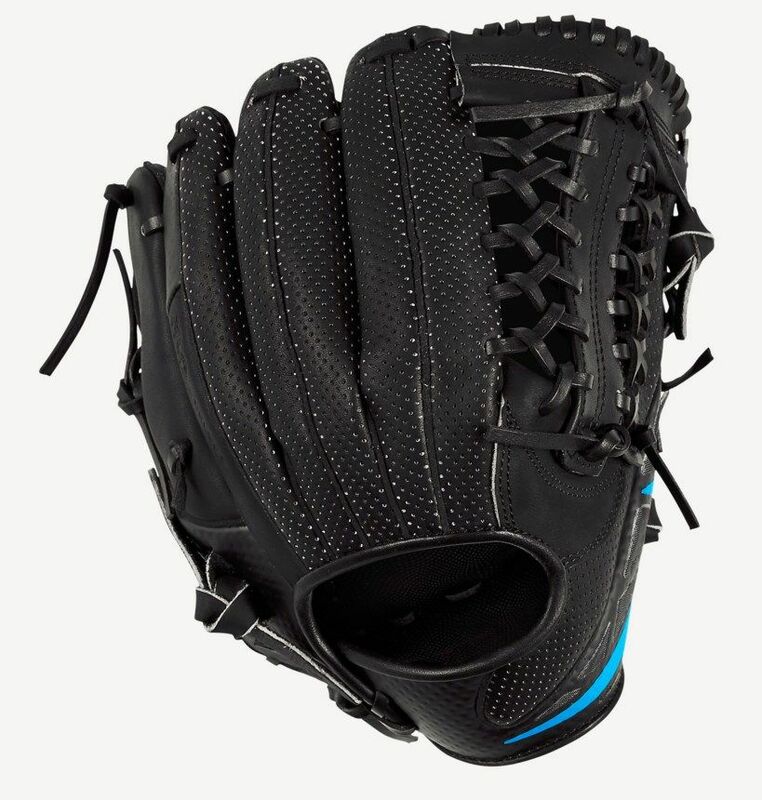 These gloves are now available, so we wanted to get you some looks and go over what we learned about them last year. We also got a bit of first-hand feedback on these from a UNC sophomore pitcher, and we’ll get to that after the photos. 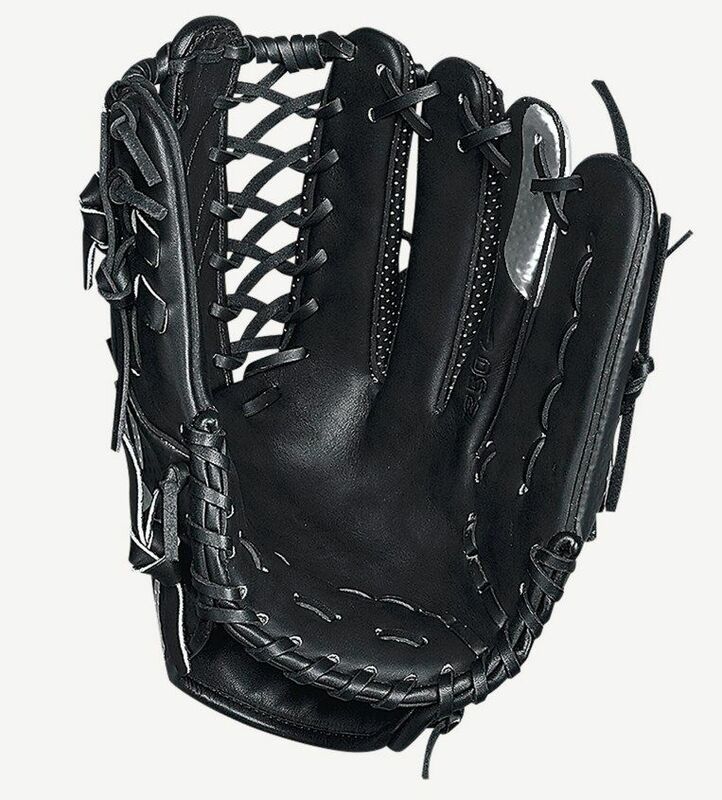 The ring, middle, and index finger are perforated steer hide leather. This is the I-Web, which is available here. The thumb and pinky are a lightweight composite material that Nike manufactures using their Hyperfuse process. 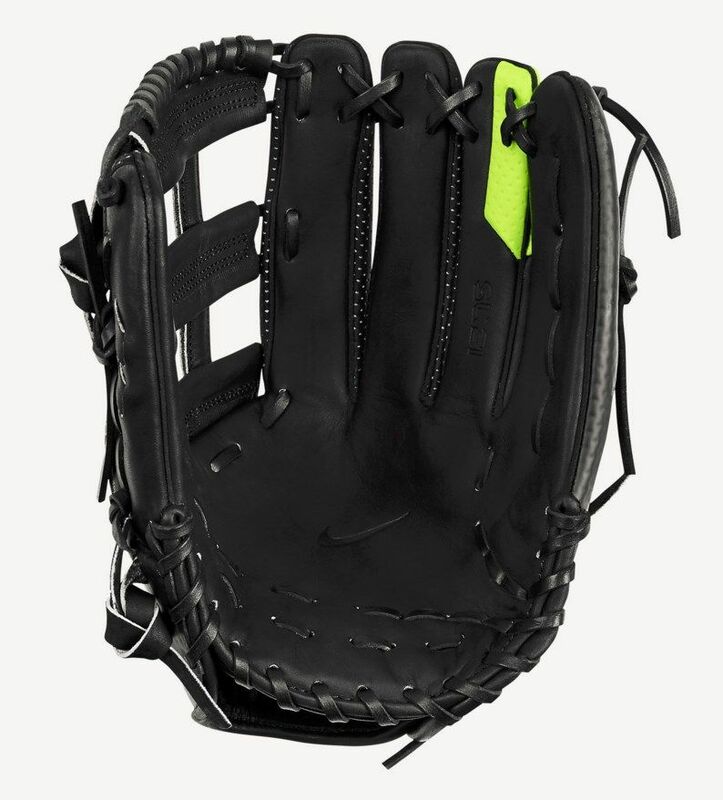 This is the outfield trap, available here. 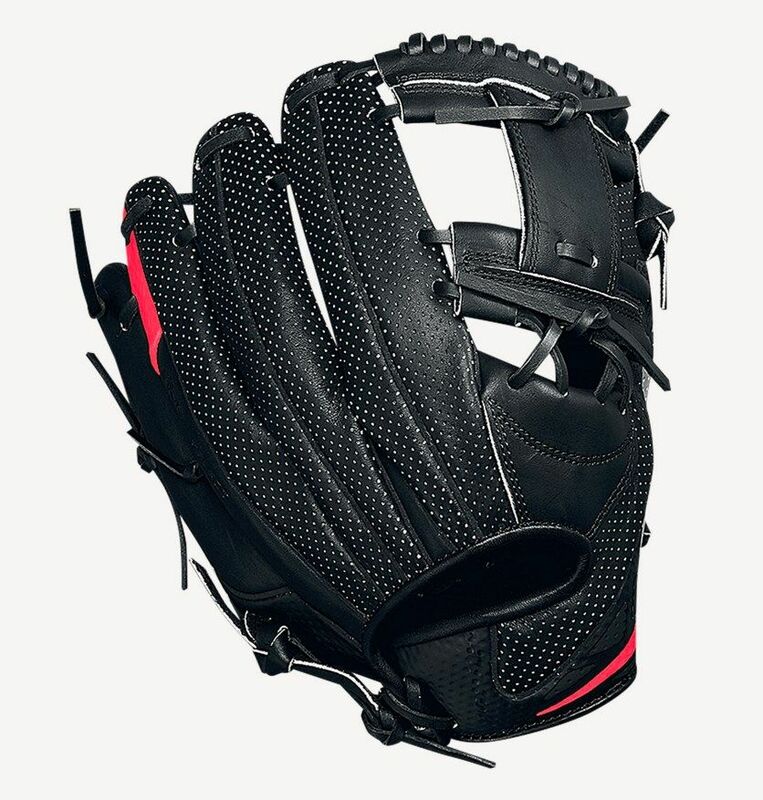 According to Nike, these gloves are comprised of a light, flexible, perforated base material, a breathable mesh, and a super strong synthetic skin. 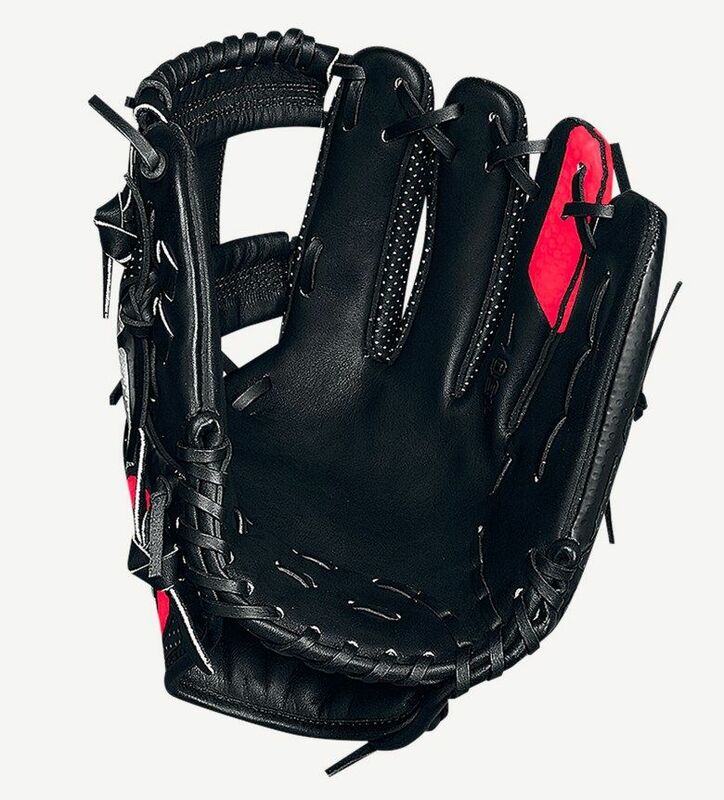 This is the pitcher/infielder Modified Trap, available here. The H-Web, available here, is 1/4 of an inch larger than the trap (12.75″ vs. 12.5″). There is also a basket webbed version. So, I think most of us would agree that these gloves are pretty. I’m sure some of you would disagree, but Nike seems to have the “pretty” part down pat. 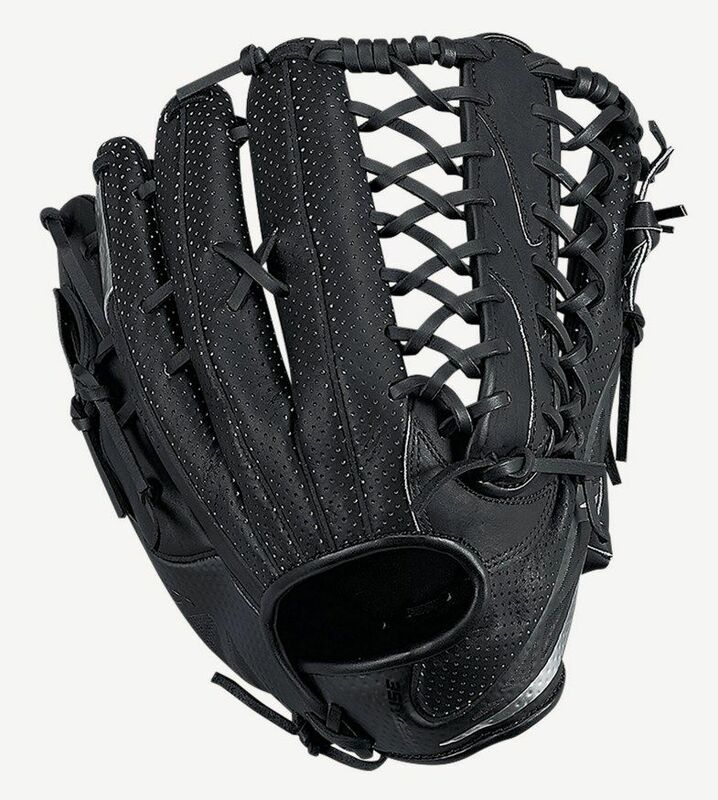 WPW: Did any of your teammates use that type of glove or still do? Yeah I think we had a couple of freshman use them last year but not many, mostly pitchers. I used mine for about two weeks (laughs). WPW: I see. What did you think about them? I wasn’t a big fan of how they weren’t your typical leather like a Rawlings or Wilson. WPW: Right. Did it feel flimsy? Weak? Too light? Very stiff at the beginning, but got pretty floppy towards the end. A little too light and the “leather” didn’t really hold up from what I saw. WPW: So within two weeks it went from very stiff to floppy huh? I wouldn’t say that quickly but once it was broken in the shape didn’t hold very long. WPW: Anybody else on UNC mention anything about them? Likes or dislikes? At the beginning I think guys liked the look but they didn’t seem too thrilled with them after that. WPW: I take it you wouldn’t recommend them to a teammate? Not the most glowing review, but we shouldn’t discount the fact that Matt Kemp wore the Trap all season in San Diego. Shop the MVP Select here.